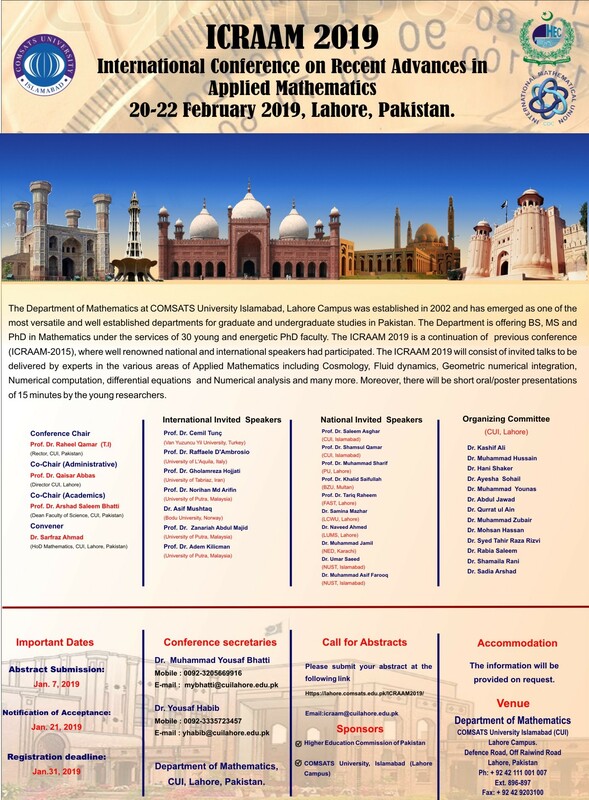 The Department of Mathematics at COMSATS University Islamabad, Lahore Campus was established in 2002 and has emerged one of the most versatile and well established departments for graduate and undergraduate studies in Pakistan. The Department is offering BS, MS and PhD in Mathematics under the services of 30 young and energetic PhD faculty. The ICRAAM 2019 is a continuation of previous conference (ICRAAM-2015), where well renowned national and international speakers had participated. 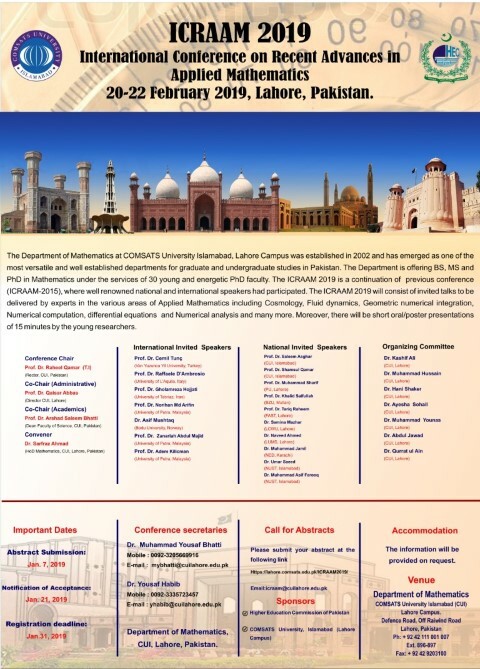 The ICRAAM 2019 will consist of invited talks to be delivered by the experts in the various areas of Applied Mathematics including Cosmology, Fluid dynamics, Geometric numerical integration, Numerical computation, Difference equations, Numerical analysis and many more. Moreover, there will be short oral/poster presentations of 15 minutes by the young researchers. Department of Mathematics, CUI, Lahore, Pakistan.